Sweden, Denmark, the Netherlands, Austria, Germany, Finland…. The EU’s Budget Commissioner Gunter Oettinger did not hesitate to point the finger at countries reluctant to increase their contributions to the EU’s next seven-year budget during a speech on Wednesday (19 September). Oettinger was responding to accusations by the EESC that the Commission’s draft budget for the next seven years lacked ambition. The German Commissioner argued that he had to table a realistic proposal in order to get the approval of the 27 member states. But he also insisted that the current draft is just a “starting point” for negotiations. The EU executive proposed a ceiling of €1.3 trillion in its blueprint for the bloc’s next long-term budget, equivalent to around 1.14% of the EU’s gross national income. This is a little less than the European Parliament’s demand to increase expenditure to 1.3% of the bloc’s GNI, but still more than the current long-term budget, which is just above €1 trillion. 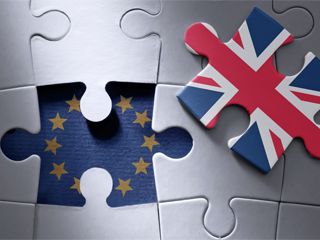 However, the EU will be left with a gap of €10 to 12 billion per year after the UK leaves the Union, Oettinger said. And since there are new long-term priorities on security, defence, and migration – cuts had to be made, particularly to the Common Agriculture Policy (5%) and Cohesion Policy (7%), he explained. 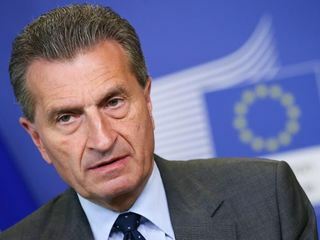 Oettinger agreed but he again blamed member states for blocking those proposals, citing the digital tax as an example. The Commission proposed in March to charge a 3% levy on digital revenues of large firms like Google and Facebook, a proposal which met with criticism in Ireland, Nordic countries and Germany.